I have the magnificent Emily from over at Bless this Mess Blog today dropping by to share with you on how to harness those moments of pure joy and authenticity and welcome them more in your life. I.e. How to have a solgasm. In my own words (about her blog); Em is one of the sweetest soulful of girls I have met in the online world. She shows up, ALWAYS, in her space, online, in my own more private group of girls I coach through cleansing and in life. We met through said nutritional cleansing and it has been a joy to have this beam of light be a part of my life ever since. She is the queen of intentions and we share a love for manifesting and gratitude journalling (not to mention Green Smoothies and all round wellness). Her blog rocks the blogosphere with amazing posts about nutritious food, amazing exercise and all round soulful goodness for the mind, body & soul. In her own words (about her blog); This little corner of the interweb started off as an outlet for sharing recipes and my thoughts with anyone who was interested and has slowly twisted and turned and amalgamated into a big, beautiful and bustling community of readers who all share the same vision - to live our best, healthiest and most kind lives imaginable. 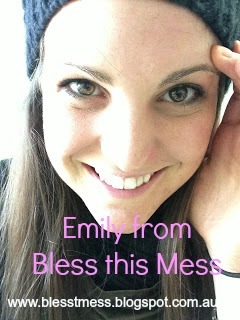 'Bless this Mess' is my online diary of sorts - allowing me to acknowledge and appreciate every single blessing that graces my messy life each and every day. I hope you find something that inspires you, something that resonates with you and makes you shout 'YES! ', or that it connects you with likeminded souls that share your passion for living. Psst; Before we begin, beautiful Em had this to say about this post - isn't she a hunny? This post is dedicated to my number one. My mother and genuinely the most beautiful, kind, loving and compassionate soul I have ever met. This is my gift to you - a testimonial of utter belief in your dreams and a ‘permission slip’ to live YOUR life. Have you ever experienced that ‘buzz’? It’s the only way to describe it. A jolt of pure, unfiltered, unadulterated, raw, ecstatic happiness and bliss? Get yo’ minds out of the gutter if you’re wandered into nasty territory – because today I’m talking Soulgasms. What exactly is a soulgasm you might ask? It is that exact moment in which your entire being lights up, you feel unstoppable, your potential seems immeasurable and you are absolutely glowing! A few years ago these soulgasms were, for me, as elusive as unicorns and they occurred few and far between. Now, I get my hit daily. Whether it’s during a soulful conversation with a friend, sipping on a cup of green tea, running in the bush with my ever growing puppy or working solo on a project – these soulgasms are the universe’s way of telling you that you are on the right track. These moments of pristine clarity, inspiration and elation are your birthright and you deserve to experience them every single dang day. Soulgasms are the result of complete alignment within your universe – they tell us that we are exactly where we are meant to be. Epiphanies, bursts of motivation and great ideas are all ‘foreplay’ for the great soulgasm that awaits. When we are aligned with our divine purpose, when we utilise the skills that we have been blessed with and we act and behave as an instrument of the higher power (whatever or whoever you believe that may be) the world around you completely changes and everything occurs in total and incredible synchronicity. So you’ve just had your first soulgasm (you lucky thang) – now what? 1) Identify what instigated this incredible feeling? And nurture it as much as you can. Whether it’s an idea for a new business; spending time with loved ones; during your travels to distant lands ... trust that this is where you’re meant to be. This is how you’re designed to feel. This is how you will actualise your authentic self. 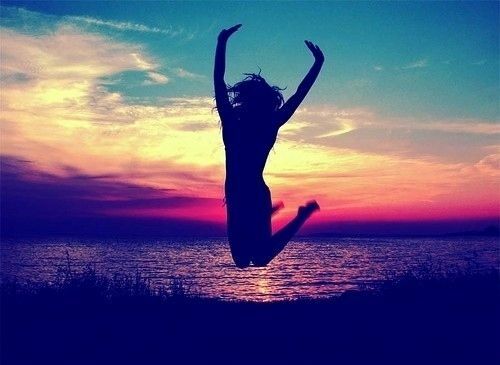 2) Manifest this feeling and welcome it into every moment of your life. Do more of what makes your soul soar. Get your ‘gasm on every day. 3) Put it out there. Write it out baby. Grab your journal and jot down how you’re feeling, why you’re feeling it and how you will grow and maintain this feeling until your dying day. My favourite way to do this is by writing a journal entry that is written by my future self (No I haven’t lost my marbles, just bear with me and hear me out). I get comfortable and connect with that perfect version of myself, my authentic and true self. Then I get writing and I get specific. I.e ‘It’s 2014 and I cannot believe how incredible I feel every single day. I wake up beside the love of my life every morning, sit in the sun and enjoy my morning tea and give thanks for all that’s around me. My clinic is booming and I’m currently managing two staff members who have helped to bring in a 6 figure annual profit for the practise. I am writing every day and have an audience of loyal, inspiring, supportive and determined readers...’ The real entries are much longer and go into much more detail. But these are personal and can be just for your eyes. There are no rights or wrongs, no need to be a Shakespere-esque wordsmith, no restrictions or limitations whatsoever. You, your dreams, your journal and a sprinkle of universal magic. Perfection! 4) Action steps. Set this thang in motion. Feel like a certain someone has sparked your soul? Then book in a regular phone or coffee date with them to make sure you are granted a weekly soulgasm. Inspired and invigorated by a certain idea or concept? Then follow your heart and chase that feeling. Had an epiphany? Trust your gut and act on it. 5) Lucky enough to experience multiple soulgasms? Well you are onto a winner. Stay on that path, do not back down and do not accept ‘no’. When you’re experiencing life as your authentic self and following your divine path, nothing in the whole entire world can stop you. In fact, it’s quite the opposite really. Once you set your intentions and choose to live a certain way, the universe conspires to see you achieve just that. Believe in yourself as much as your best friend does; as much as your mother does; as much as I do. And with that sense of belief and enlightened sense of self and alignment – you can do anything. 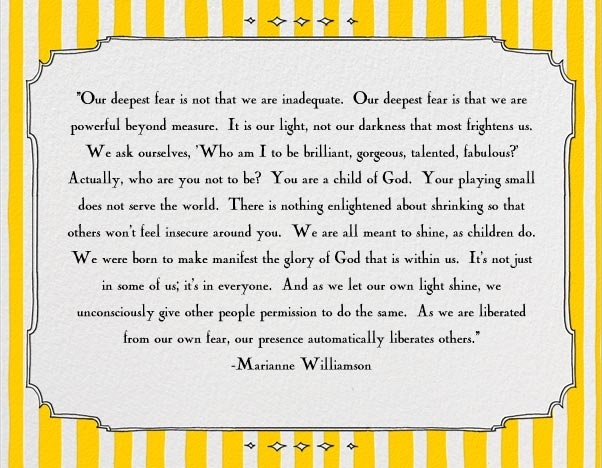 I’ll leave you with an incredible quote. One which I have read over a majillion (yes that’s a word) times and it still ignites my spark and keeps me believing that I can do anything. Recite it, believe it and achieve it.